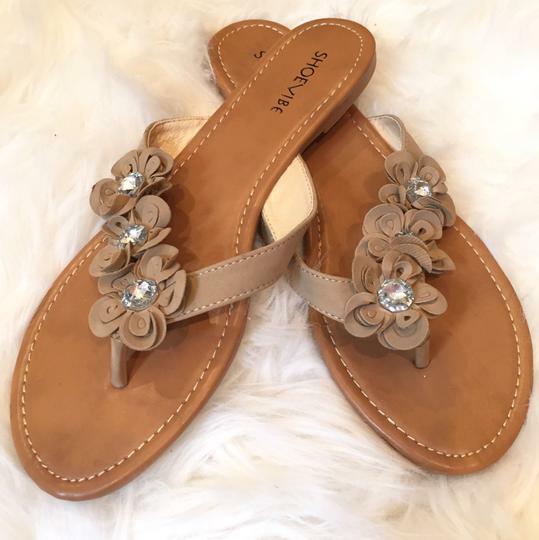 New without box, Shoevibe crystal flower faux suede thong sandals, size 10. 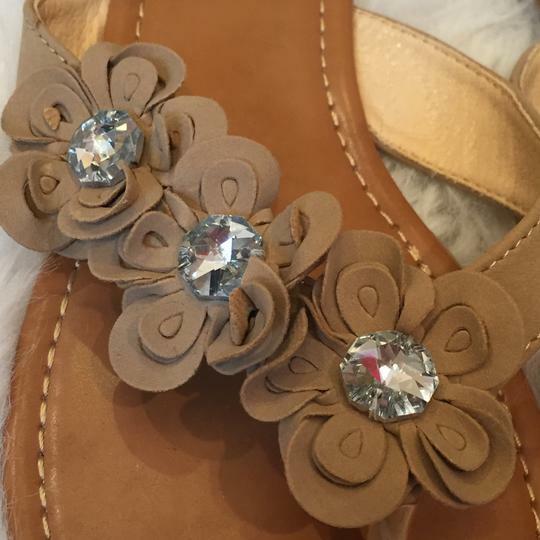 Tan man made upper with large crystal center flowers. 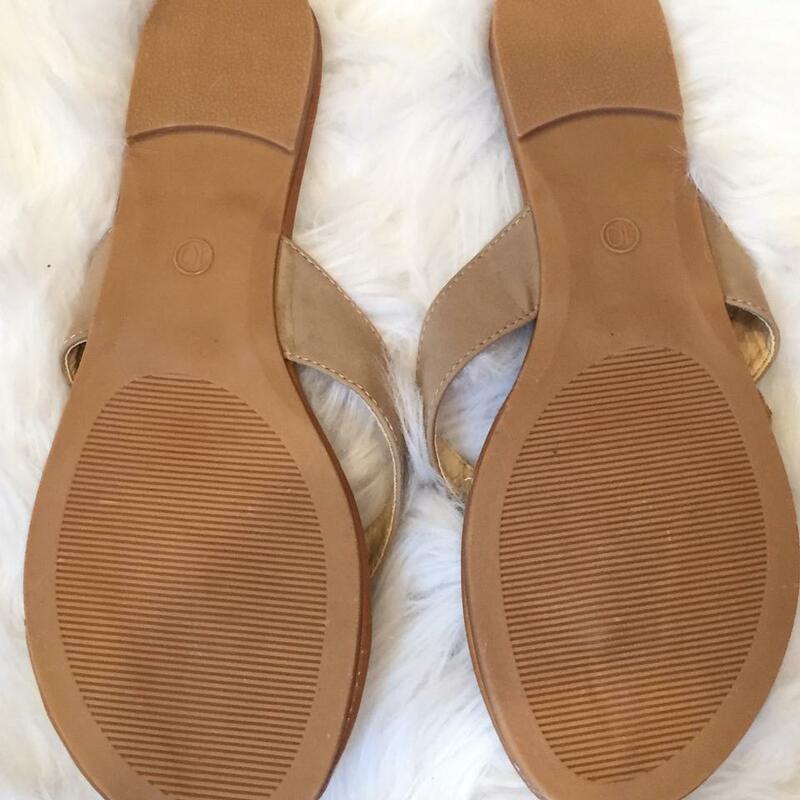 Lightly padded insole and rubber non-slip sole. 1/2 heel. Adorable for summer, dressed up or weekend casual! Note-those are shadows on the insole, not stains. Please read(for all our listings)-The price shown also includes the shipping & any additional insurance charges (insurance required only on pkgs over $50). USPS has raised shipping rates for 2016. Any discounts we may give do not include these charges. 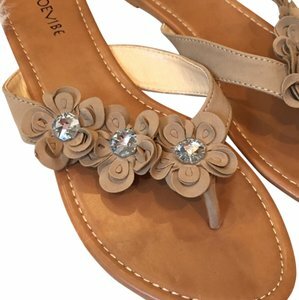 We do sell on other sites under the same name and once an item receives a bid or is purchased elsewhere it is removed for sale here. You may see our items for a different price elsewhere and that is because fees vary from each site. Due to the amount of low offers, we now price our items at or close to the lowest amount. Low offers will be ignored (30% or more off the asking price). Please remember as sellers we pay fees, shipping/insurance and other costs. We've been in business for over 10 years and you'll never see any counterfeit/knock off items for sale-they are illegal. All items guaranteed authentic. A portion of our sales are donated to various animal rescue & breast cancer charities. Don't hesitate to ask questions not already described in the listing/request more pictures. If you're interested in consigning your own items contact us for details!